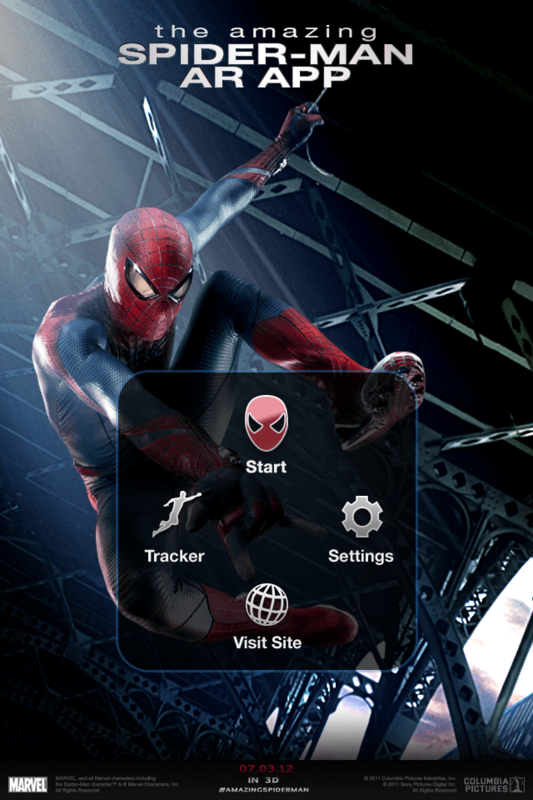 Discover Sony Picture’s, The Amazing Spider-Man Augmented Reality app! The app includes 13 Spider-Man 3D animations, each animation features motion capture data from the film’s actual stuntmen. To unlock each animation, simply locate and scan the special movie-themed AR targets. Each target activates an unique animation sequence that leads the user to collect up to 13 achievement badges that can be shared on Facebook and Twitter. Users can also snap photos of Spider-Man in action to share with friends. The app is powered by Vuforia from Qualcomm and developed for iOS (iPhone/iPad) and Android (smartphone/tablet). Developed with Trigger’s creative director, graphic artists, 3D modelers, motion animators and software engineers. I designed the IA, wireframe and user interface. 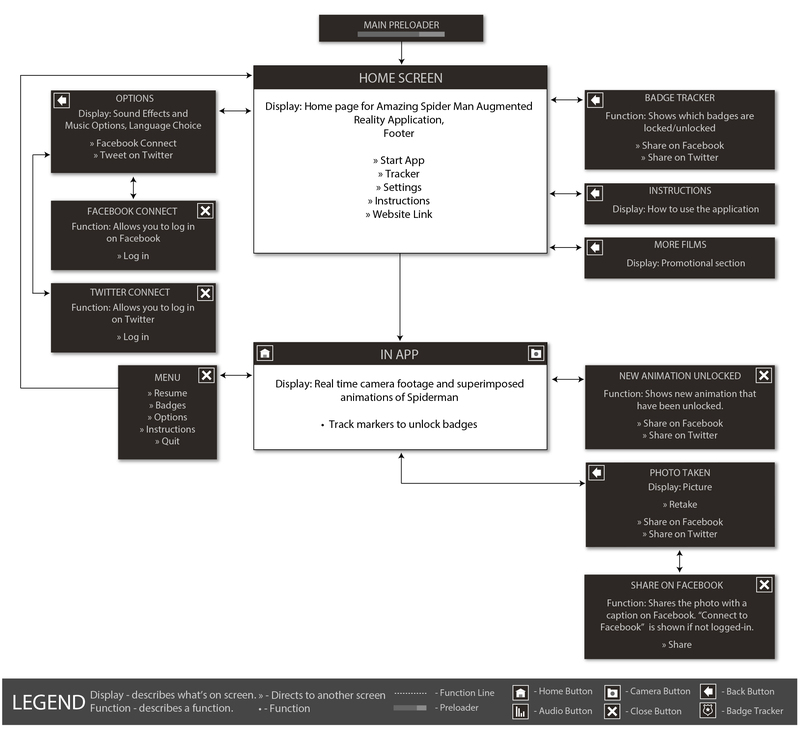 The tablet structure for according to user requirements, made with Adobe Illustrator. 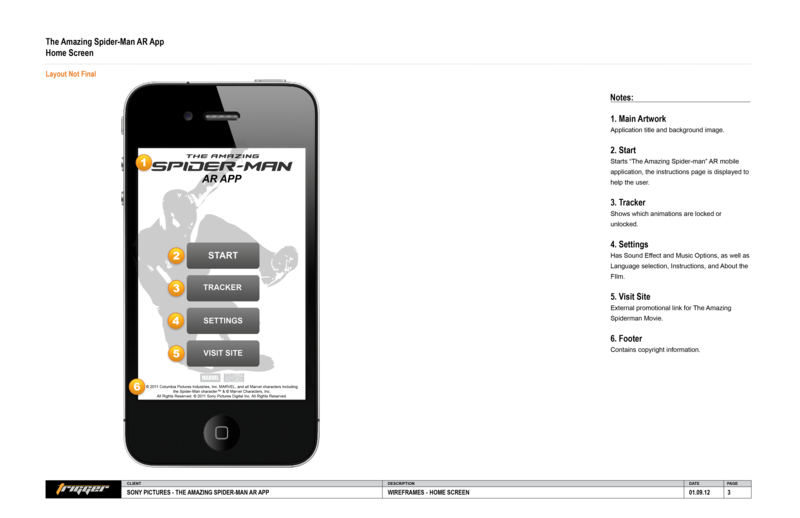 Sample of Sony Entertainment’s the Amazing Spiderman AR App home screen wireframe & comp, made with Adobe Illustrator & Adobe Photoshop.